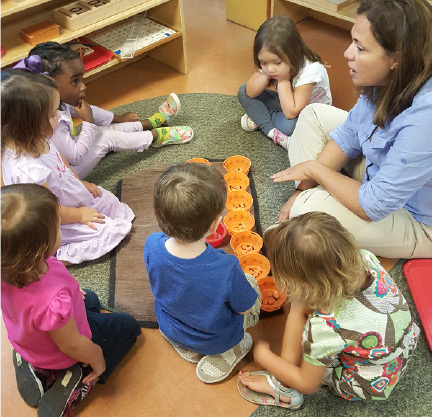 Our toddler program is dedicated to children between 18 months and 2 ½ years old. In addition to positively encouraging the continuation of the skills learned in the infant room, we begin introducing a wide range of social opportunities. In this environment our focus is on fostering the development of basic trust and to assist the emerging personality by supporting their blossoming sense of self. 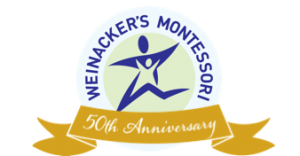 We encourage the two year old child’s sense of independence and self-confidence through social and learning experiences. 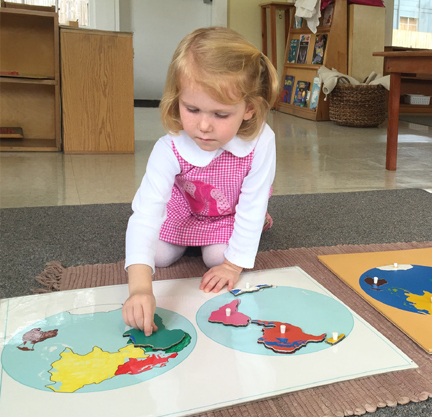 Toddlers are introduced to a wide variety of age appropriate Montessori materials and are invited to make choices from a variety of activities designed to support their needs. The teachers are busily preparing the Toddler for their upcoming adventures in the big world of “Pre-school”. They do this with an abundance of love and a whole lot of hugs.